If ordering product, please fill in this Ship To address. When ordering by phone please have your credit card number and security code available. The security code is the 3 or 4 digit code located on the back of the card. All purchased products are subject to tax according to state guidelines. All products are shipped via US Post Office unless otherwise requested. Attract Customers and Motivate Employees? Does the Image of Your Organization Attract Members? Helpful tips for coping with challenges and changes in your life. Calendar Weekly Planner designed for and by people with limited vision. Light, durable, business-ready bag full of convenient storage space. Bag is black with blue “Make the Impossible Possible” logo. 15 1/ 2" x 12" bag has a zippered main compartment; simulated leather and fabric on font pocket. 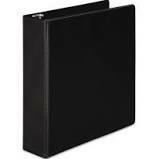 Zip down front panel conceals organizer pockets in interior compartment for documents and files with clip closure. Exterior phone pocket and mesh water bottle holder and comfortable shoulder strap with guard and double grab handles. Besides earning a MA in teaching and BA's in speech communications and public relations, Ardis Bazyn has owned several businesses and participates in consumer and business organizations. Blinded at twenty from a car accident, she has published four books, numerous articles, manuals, and a booklet for blind students, "A Guide to a Successful College Experience!" In addition to her motivational and inspirational speaking on positive attitude, coping with challenges and change, and image building, she works with groups as a facilitator, helping them plan for a more productive future. Ardis has two daughters. She and her husband live in Burbank, California. The interviews found in this book were conducted by David Wright, President of ISN Works and Insight Publishing. In this book, Success Simplified. the successful businesspeople gave several different answers to the questions about success. The answers were very insightful and will give you a new perspective on success and how to make it simple. Does the Image of Your Business Attract Customers Or Motivate Employees? In this book, some valuable ideas used by a variety of businesses are identified and reviewed. These examples and observations allow owners to critique their businesses as if they were outsiders and explore their current practices and investigate possible opportunities for the future. Suggested techniques may lead a business to develop ongoing relationships with customers, employees, and other business owners. A unique element of this book relates to marketing to all possible populations. It describes how to look at your hiring and firing methods to determine if any practices may be discriminatory and could cause you problems in the future. It also explains how to make all your outreach accessible to persons with disabilities: websites, seminars and conferences, attitudes, as well as products and publicity. This book encourages businesses to consistently examine their goals. Answers are given to questions about image building, customer and employee development, customer service, marketing, networking, relationship building, communication methods, and the problem-solving necessary for expansion. Does the Image of Your Church Attract Members? This book was written because of the research noting declining membership in an overwhelming number of churches. The role of prayer and God's guidance is cited as a necessary part of this process. Before the introduction, the verses from Proverbs 16:3, 4a, 9; Are shared with the readers to indicate this intent. "Commit to the Lord whatever you do, and your plans will succeed. The Lord works out everything for his own ends. In his heart a man plans his course, but the Lord determines his steps." Since church membership is an important facet of everyone's personal life, this book was written to encourage churches by sharing positive experiences and observations from churches that are vibrant, exciting, and attracting new members. Many beneficial strategies were accumulated from a variety of sources, including churches from varied denominations. Ideas are explored relating to membership building, creative ways to participate in church services, sharing member resources, support mechanisms, and publicizing your events through your newsletters and website. This book was written to encourage organizations to improve their image. It identifies many strategies and techniques that may help promote your organization to a wider audience. How successful is your organization? Is your organization drawing members? Is it a vital, energetic, and enticing group to join? Does your group draw visitors continually? Is your organization prepared to make changes in order to expand? Is membership retention important? What is the main purpose(s) for your organization? Are you consistently reaching your goals? Are most of your members active and excited about your activities? This book shows how answers to these questions relate to image building, membership development, and growth. Some topics include evaluating your attitude toward newcomers, improving visitor follow-up, developing and promoting your purpose, sharing member resources, publicizing newsletters, listservs, and websites, becoming involved in the community, planning innovative programs to attract visitors, adding scholarships, contests, or awards, providing inspiring retreats or conferences, creating publicity to alert people about your functions, Setting positive and realistic goals for the future, and recognizing what support mechanisms might help retain members. Created in a notebook format, this recipe book lets you add your own favorite recipes. Included tabs can be placed where most convenient for you. Enjoy some of our family and friend’s recipes. I've added Healthy suggestions to many recipes, substitutions I found helpful, and personal anecdotes surrounding times we served some favorite recipes.